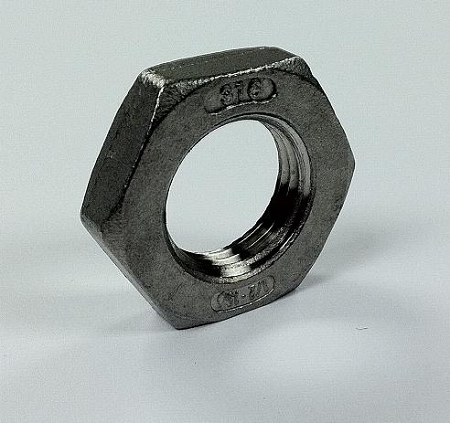 Lock nuts are commonly used in a lot of bulkhead fitting designs you see. These are straight thread and not tapered like your standard NPT fitting. The locknut will thread onto the fitting until there is no more thread unlike the tapered NPT fitting that will stop usually about half way through the threads.